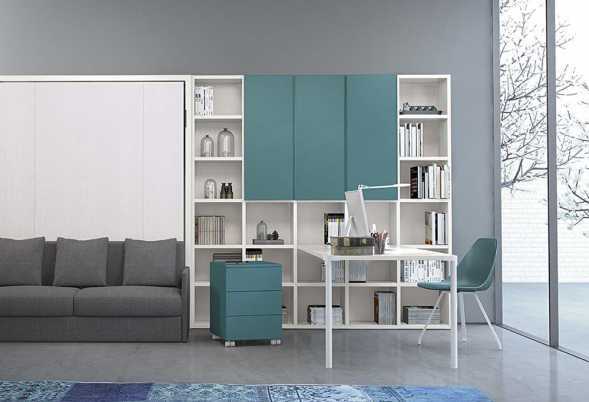 Start modular wall bookcase for bedroom sets, available in several measures and endless compositions. Start double sided modular bookcase. Ideal for bedroom sets and living rooms, customizable finishes and sizes. Start bookcase with integrated desk suitable for kids and teen bedroom sets. Custom combinations. 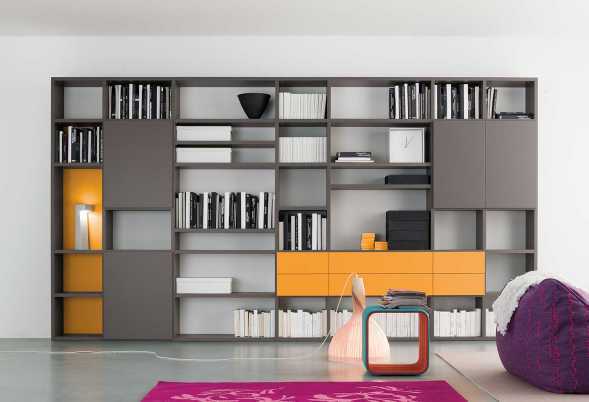 Gate is a wall hanging bookshelf available in 45, 60, 90, 120 and 150 cm wide and in many colours. Height is 110,4 cm and depth is only 25 cm. Also with desk. 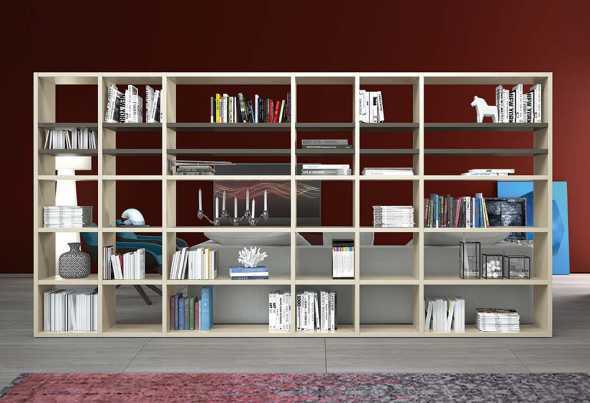 Hon design bookcase with aluminium columns available in different sizes and finishes. Ideal in a living room or bedroom. 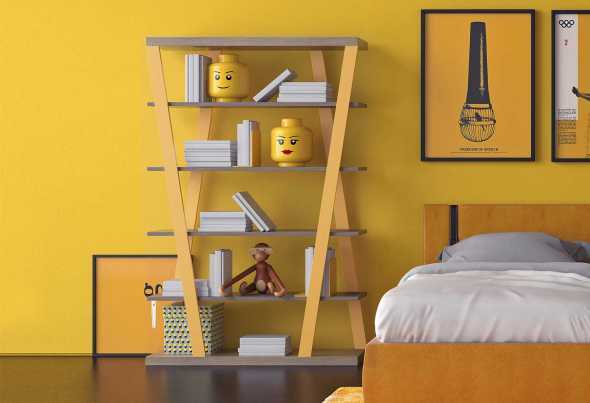 Snake is a coloured bookcase for the kids bedroom. 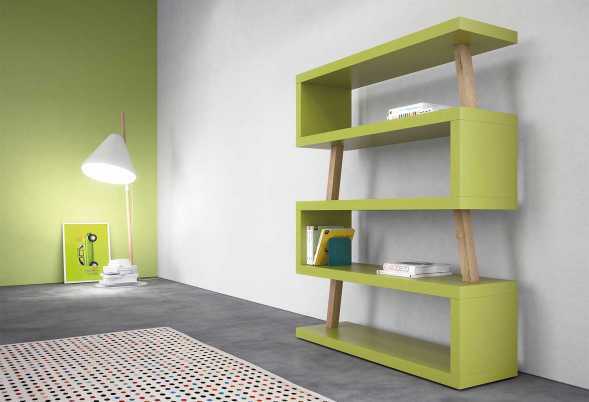 A free-standing bookcase with 5 shelves in melamine or lacquer, also with oak wood inserts.